By reading this koob, you’ll discover principles and a method that will allow you to achieve your set goals. You will understand why some succeed when others fail. Napoleon Hill gives you the keys to success. - the faith you have in yourself and in the goal you are pursuing will determine your success. 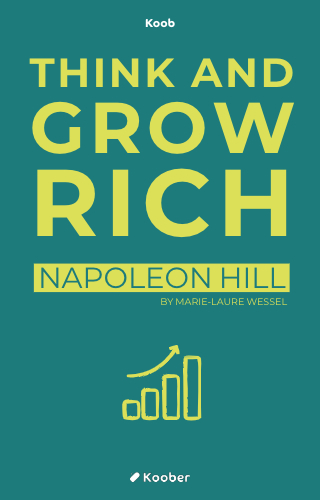 In this book, Napoleon Hill proposes a collection of principles that help to achieve your objectives. He delivers the result of an investigation commissioned from Andrew Carnegie as a student, the tycoon of steel. Carnegie wanted to see confirmation that there was a “recipe” for success, to share it with those who want to succeed in all areas of life. Whether it’s about getting money, fame or happiness. Through a 25-year survey of 500 people who started from nothing and became rich and famous, Napoleon Hill developed thirteen principles that, if strictly followed, constitute the recipe for success.